Beloit College publishes an annual mind-set list to promote understanding of the new students. Here are a few items from this year's list for the Class of 2021. 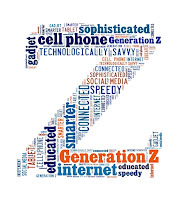 * They are the last class to be born in the 1900s, the last of the Millennials -- enter next year, on cue, Generation Z! * They are the first generation for whom a phone has been primarily a video game, direction finder, electronic telegraph and research library. * They have always been searching for Pokemon. * A movie scene longer than two minutes has always seemed like an eternity. * Having another child has always been a way to secure matching tissue to heal an older sibling. * Bill Clinton has always been Hillary Clinton’s aging husband.